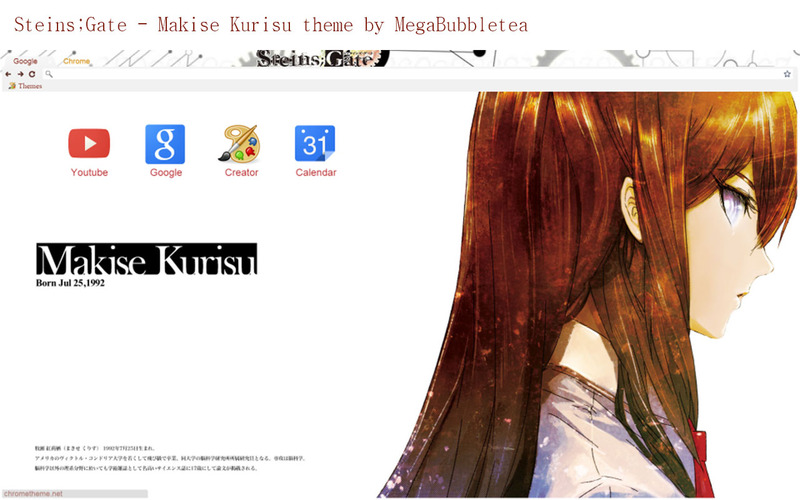 So I haven't made a Steins;Gate Chrome theme before and I happened to come across this theme on Reddit. Well...here it is! For you, Kuristina fans! Enjoy.